This hasn’t been a good past few months for one of my favorite fast food chains, Mos Burger. With more than just tasty burgers, Mos Burger (Mountain Ocean Sun Burger) has cultivated its image of being a healthy alternative to McDonald’s. Advertisements tout domestic produce and freshness, going as far as listing where the veggies are grown and posting photos of farmers on Facebook. The restaurant certainly has its fans. However, recently, things do not look good for Mos. Last August, twenty-eight customers at Mos Burger restaurants across Japan got food poisoning. According to Kyodo News, twelve of those customers had the O-121 strain of E. coli bacteria. Mos Burger acknowledged that it was “highly likely” that its food was the cause. The cases were reported at 19 locations in Chiba, Gunma, Kanagawa, Nagano, Saitama, Tokyo, Tochigi and Yamanashi. It was so bad, apparently, at a Nagano location that public health officials shut the restaurant down for three days and one sickened customer was hospitalized. “We’ll step up our sterilization of vegetables, which are believed to be a cause of the health problem,” a Mos Burger spokesperson told Kyodo. After the food poisoning news broke last month, stock prices suddenly dropped 7.6 percent. Business Journal reports that sales were already down 5.2 percent year on year for the same period. There were also 5.9 percent fewer customers. This was before the food poisoning incidents. There was also an article in Gendai Business pointing out how this is only the second time since Mos Burger’s founding in 1972 that the fast food chain has suffered a sales slump. Twitter user Mulboyne has a good summary of the article. 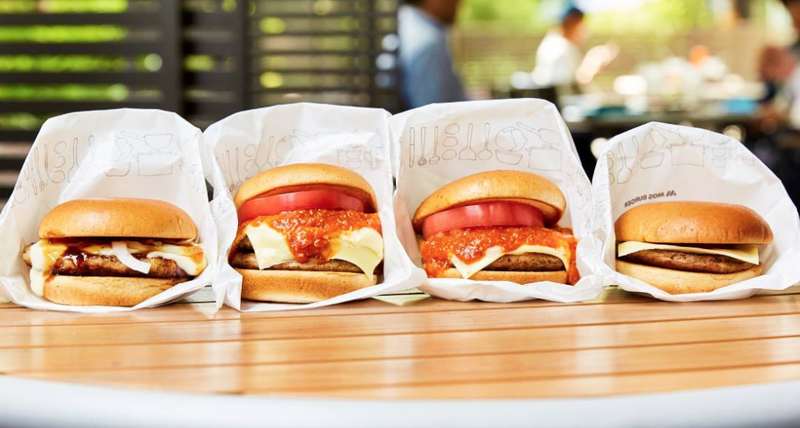 A new threat, Mulboyne adds, is the rise of newly arrived American chains like Shake Shack and Carl’s Junior, which are still small scale in Japan but have room to grow. If that weren’t enough, earlier this week, the Japanese media reported how Mos Burger in South Korea was advertising how it didn’t use any Japanese ingredients. This was apparently before the recent food poisoning cases and while not specifically stated, this appears to be related to lingering Fukushima concerns. In Japan many were angered by the message, believing that, the recent food poisoning problem aside, Japanese ingredients are safe and pass inspection. They viewed the message as an affront, with some calling the message discriminatory and anti-Japanese. Among those Japanese TV interviewed in South Korea about the issue, one said that North Korean ingredients were safer than Japanese ones. South Korean President Moon Jae-in has referred the Fukushima Daiichi nuclear disaster in speeches advocating for his country to change its energy policy, while the 2016 Korean film Pandora depicted a Fukushima-like nuclear disaster. This, along with vocal anti-nuclear protesters in South Korea, might explain why there are still concerns. After the outcry in Japan, complete with people online swearing to never visit the chain again, Mos Burger South Korea replaced the controversial paper placement with an innocuous message about ordering takeout online. Mos Burger Japan also issued an apology. A few years back, McDonald’s Japan faced food scandals and a tremendous backlash. That fast food giant has since turned things around. It’s now up to Mos Burger to do likewise.